Your website is the online face of your organisation. You want to make it as professional and appealing to your target audience as possible. Given the competition and options available out there, let us give you some reasons why you should choose 2Cubed as your professional website designer. We have an in house content expert. Conor’s job is to ensure that your website communicates your message correctly for online. If you are struggling with what to say online, Conor is here to help. It’s a difficult thing to describe your business so that it sounds impressive and ranks highly on Google. Conor will assist you in creating the right content for your website. We have web developers or Software Engineers as we prefer to call them, at hand and in house in Wexford and Dublin. They are experts in their field and will assist and advise in anyway we possibly can. We have over 14 years’ experience in the industry, providing successful, efficient ways to create a website quickly. There are millions upon millions of web sites on Internet. How are you going to make yours stand out? 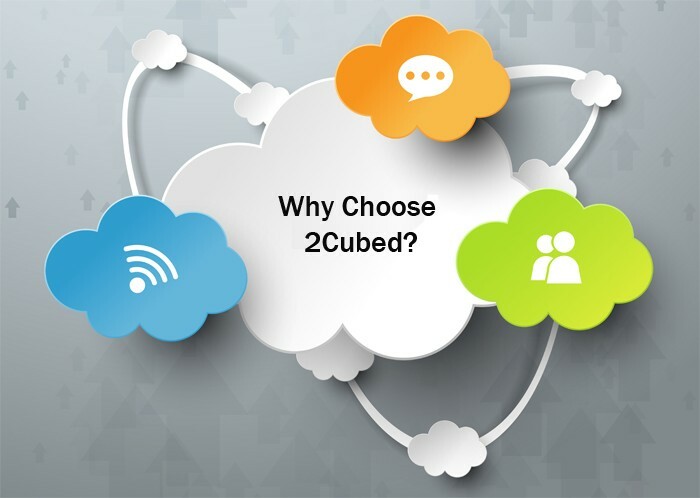 2Cubed is able to create a website that is unique to your business, has a creative appearance and clear and easy navigation, loads efficiently, and works properly in all the major browsers. We keep your customers in mind by making it easy for them to navigate and travel around your website without getting confused. Having a professionally designed website gives visitors confidence in your products and services. Competition is rife on the Internet and first impressions are very important; your website should give a professional representation of your business while retaining that personal touch. Our simple user-friendly designs will professionally communicate your message. Through the use of colour, font, functionality, and graphics, a professional web site should convey a clear, consistent, compelling message that represents your business. One of the most important factors about a web site is its presence in search engines. We ensure all our web design projects are developed so that they are Search Engine Friendly. We even offer training to show you how to make the most of your website. We provide excellent after-sales service and efficient customer support to ensure that you have a positive user experience. We have in house software engineers here. That have skills spanning across apps, database development, website development, bespoke interface design. No challenge is too big for us. We are software engineers that love a challenge. We do integrations with accountancy systems, stock systems, CRM and websites. We love web based software and on a daily basis build web services that integrate with other systems that enhance and create efficiencey for our customers. Some of which are Sage 50, Zoho, Capsule CRM, Magento, Woo Commerce, Kashflow and other stock managment systems.